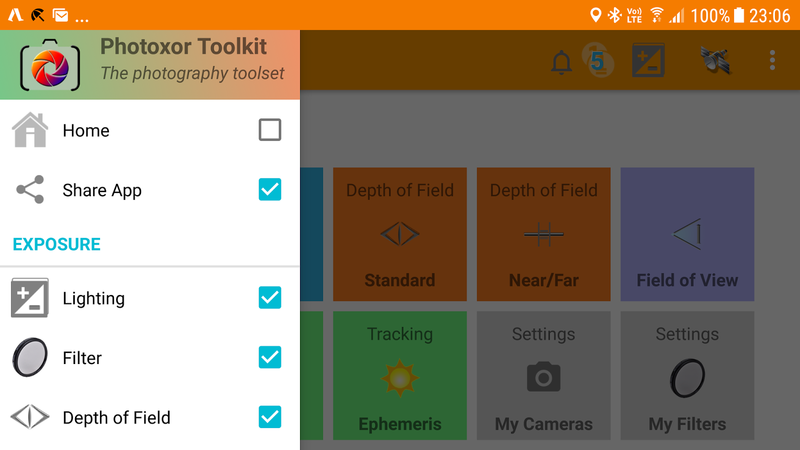 Photoxor Photography Tools: Photoxor C1 Toolkit: A new way to share with your friends! Photoxor C1 Toolkit: A new way to share with your friends! 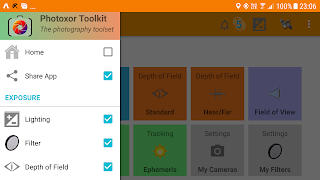 Do you like the Photoxor photography toolkit, calculations, ephemeris, tracking, place lists, lightsensor? Would you like to help spreading the word, or better the App with your fellow photographers and friends? Your are now able to share either by using email or SMS. To do this we use a new Google Android feature, so there is no need for our App to access your contacts. Showing and selecting the contacts is done completely outside of the App, a great feature from a security and privacy point! You are able to select either from the suggestions or enter the recipient yourself. And, why not select multiple recipients at once! When your friend receives the email or SMS, she / he only needs to follow the link on a supported Android device. This will automatically start the installation process! And it gets better: Both you and your friend(s) get reward points for their effort. Try it now and help sharing the App!